D'Addario Planet Waves Gold-Plated 1/4" Angled - Straight Instrument Cable 20 ft. Solid, static-free connection with virtually every standard jack manufactured. 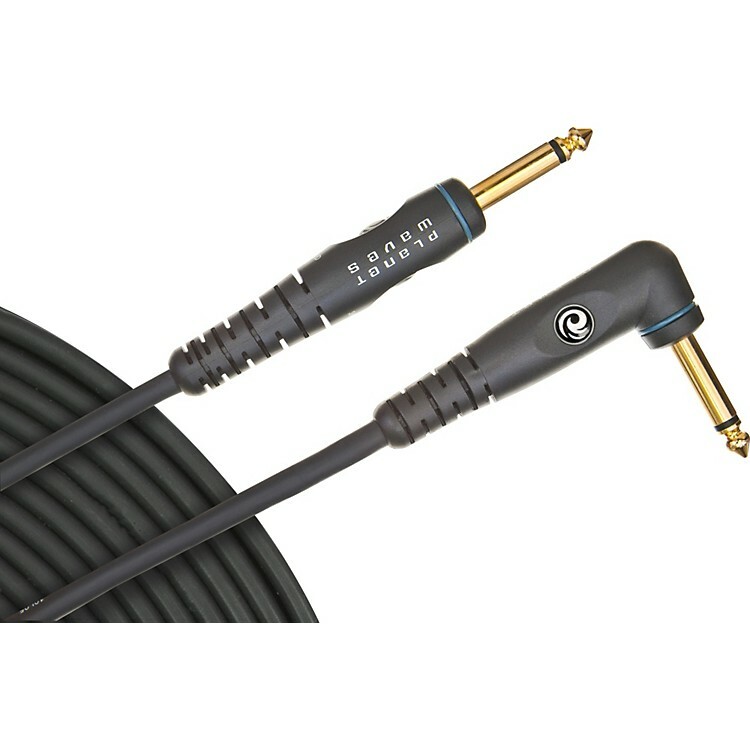 The Planet Waves Gold-Plated 1/4" Angled - Straight Instrument Cable has near-perfect frequency response, double-insulated/double-shield coverage, and the low triboelectric (handling noise) of any cables on the market. The Planet Waves plug is soldered, covered with an internal copper shield tube, and then over-molded, first with a rigid PVC to encapsulate the solder joints, and then with a flexible polymer for unprecedented strain relief. This virtually indestructible construction is so tough, so durable, that Planet Waves Gold-Plated Instrument Cable carries a limited lifetime warranty.